Simply select “Apply for finance of full amount” in the payment option on the course booking page.Once you are at the checkout stage and have entered your details, select the finance terms and deposit option that suits you and then proceed. You will be directed to a quick online application form that should take you no more than a couple of minutes to complete, and you’ll receive instant decision. Easy! Your application will be assessed based on eligibility, credit history and affordability. Deko will then let you know the outcome in just a few seconds. It’s important to know that when applying for finance a hard credit check is made which is recorded on your credit file. Once approved, Deko will let you know who the lender is and provide you with their full contact details. You then just need to digitally sign your credit agreement, pay your deposit and wait for your course to be confirmed by us. Instead of paying in full, you do have the option to apply for financing to pay for your course in instalments over a 12 – 36 month period.The finance APR is 0.0% for the 12-month term, and 19.9% for all longer terms. Payments are comprised of an upfront deposit of 10% or 50% of the total amount, plus 12 to 36 equal monthly payments thereafter. 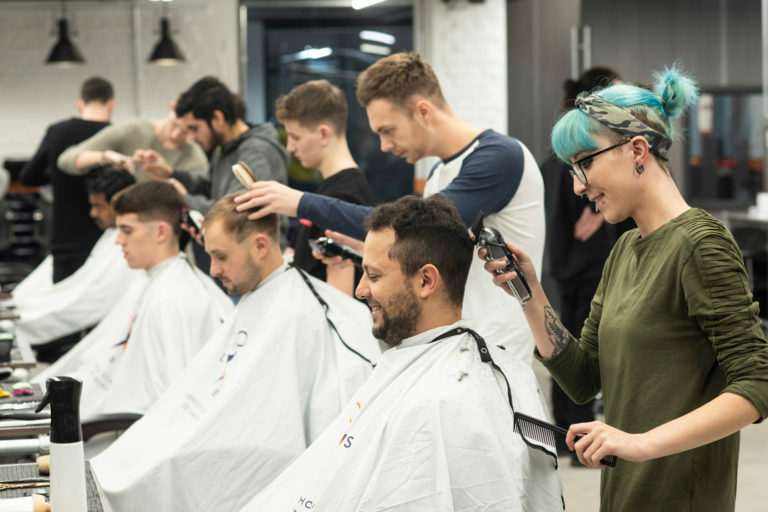 Barbering equipment and textbooks costs cannot be included in the financing and must be purchased separately. You can apply directly on our website, or you can phone 02074040998 or email [email protected] to request an application, and include the course name and start date that you wish to take. The applicant must have to have a source of income to qualify, so if you personally do not have an income then ask a family member or friend to apply for the financing. You can pay off all or part of your loan early at any time and there are no early repayment fees. You can make additional payments, increase your monthly instalments or repay your loan off in full; all these functions can be managed online. Once you have been approved. If you are approved then your deposit will be needed immediately (for your place to be confirmed) and the remaining monthly payments will start 30 days thereafter. Finance can only be applied to courses starting 14 days or more in advance. Book a future course start date (in advance) via the website. A non-refundable deposit is required. After you pay a deposit, you have until 3-4 weeks before the course start date to pay off the balance. You can then pay as much as you wish, when you wish*, as long as all balances are cleared by 3-4* weeks before you start the course. You can pay by credit card over the telephone or bank transfer (if you are paying from a non-UK account you must add £15 to each payment). * For non UK bank transfers, balances must be cleared by 4 weeks before course start dates.